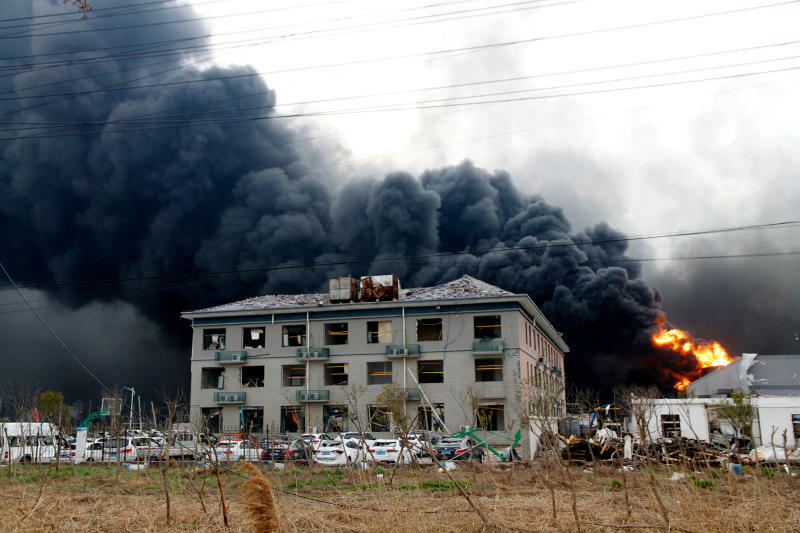 BEIJING (AP) -- A massive explosion at a chemical plant in eastern China with a long record of safety violations has killed at least 62 people and injured hundreds of others, 90 of them seriously. The death toll appeared likely to rise still further, with another 28 people still listed as missing, the official Xinhua News Agency reported Saturday. Just 26 of those confirmed dead in Thursday's explosion have been identified so far, it said.